NOTE: This content is old - Published: Saturday, Sep 12th, 2015. Wrexham.com has examined the lease of Eagles Meadow to finally put to bed the rumours regarding its contents on who is responsible for parking prices. Wrexham.com had heard of references to the lease when issues of the Eagles Meadow car park pricing have been raised in various discussions over the last year. Rumours persisted that there was no reference to parking in the document, while others had told us there was a definite section relating to it and that the Council could have an input. Wrexham.com used the uncommonly exercised rules that allow anyone to ‘inspect and make copies of the accounts and all books, deeds, contracts, bills and vouchers and receipts relating thereto’ of the Council for the latest financial year, and thus requested the lease as in theory there is rent being paid in that year. 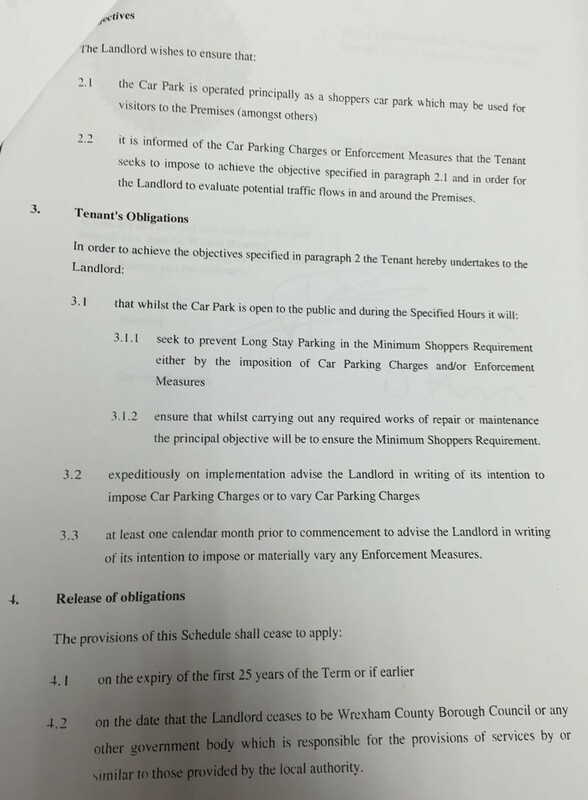 The parking reference was found in Schedule 3 of the lease under ‘Car Park Management Provisions’. The lease itself details the initial premium of £5,650,000 paid back in 2008 and the ongoing rent of a peppercorn, if demanded. The term is confirmed as 250 years from 2008 meaning it expires around the year 2258, however the parking Schedule expires just 25 years into the term, so some time in 2033. As the lease expresses a preference from the landlord, Wrexham Council, that parking at Eagles Meadow be used for ‘short’ under three hour parking rather than long stay parking over three hours along with a feedback system we made several further enquires. 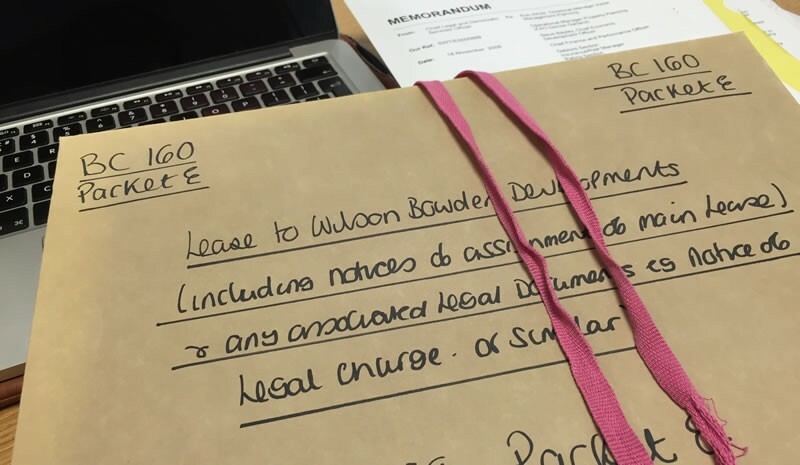 We asked Wrexham Council if they could comment on if the leaseholder has been fulfilling their obligations in notifying them prior to car park charge changes, and if so, had the Council fed back in any way on the content of those notifications. Further to this and in the context of recent annoyance at parking charges around town, we asked if the Council regretted not being firmer in the creation of lease in 2008 to ensure as well as their preference on short term parking, pricing charges and changes could be capped or not subject to large rises. Similarly, if so, had the Council enacted any policy changes to ensure future leases take parking prices into account. The Council told us: “Whilst the agreement requires the leaseholder to notify the Council of car park changes, this is principally to co-ordinate issues of highways and transport planning as part of considerations for the safe movement of people and vehicles around our town centre. The previously proposed whopping 61% price increases were postponed prior to Christmas, with Eagles Meadow Manager Kevin Critchley saying at the time he was unsure if and when they would return as communication on the topic was limited. Due to the rent being one physical peppercorn, as often is common on such arrangements, we enquired if it had ever been demanded. By our calculations Wrexham Council will likely miss out on a decent sized jar full of peppercorns over the course of the lease, roughly £1 to £1.50’s worth at supermarket prices.